A Mum with a love for craft and naviagating Motherhood with my rainbows after baby loss. 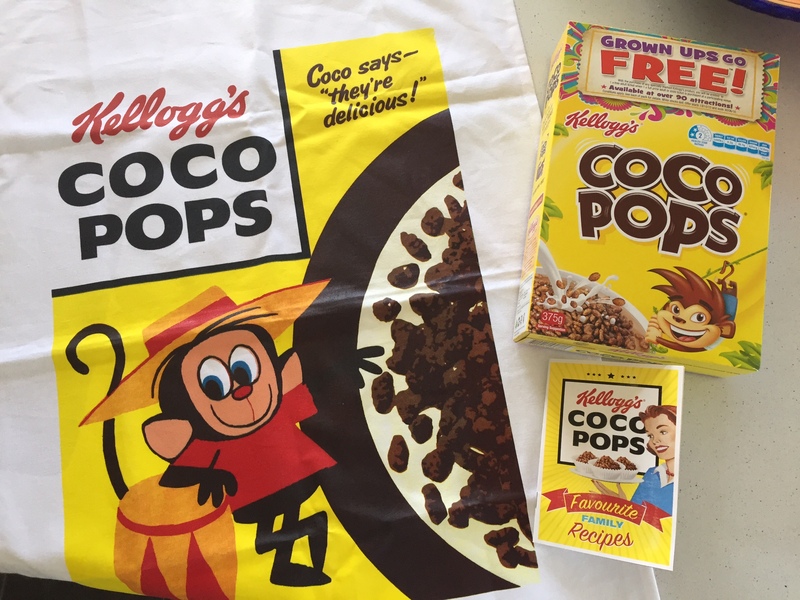 A review for Kiwi Mummy Blogs, who sent me a tea towel for Coco Pops as well as a small recipe book Favourite Family Recipes. 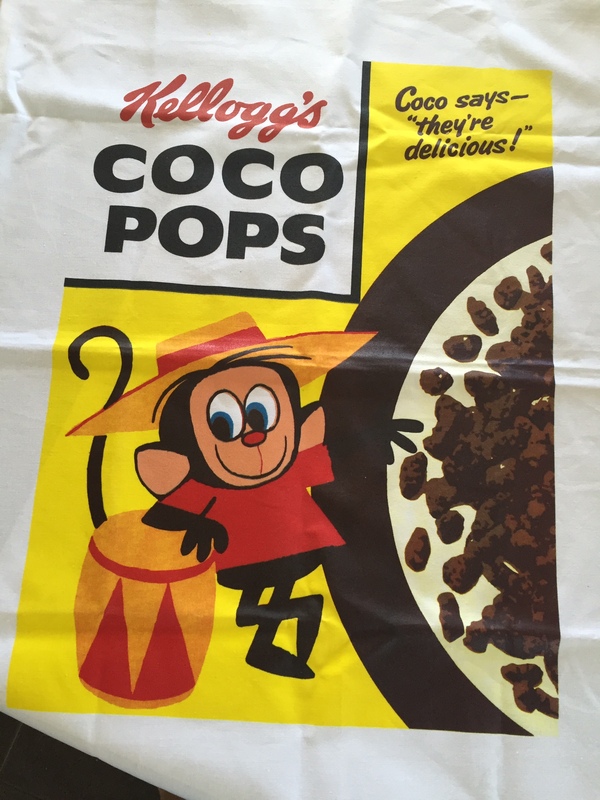 The book features eight recipes which contain Kellogg’s Coco Pops. We don’t buy Coco Pops usually so receiving the book to review was a great excuse to buy a box of the childhood favourite cereal. With it currently being school holidays here in New Zealand this book is perfect if you want to do some baking that won’t take too longer and taste great. Plus, all the recipes are child friendly, so it’s great to get the kids involved. 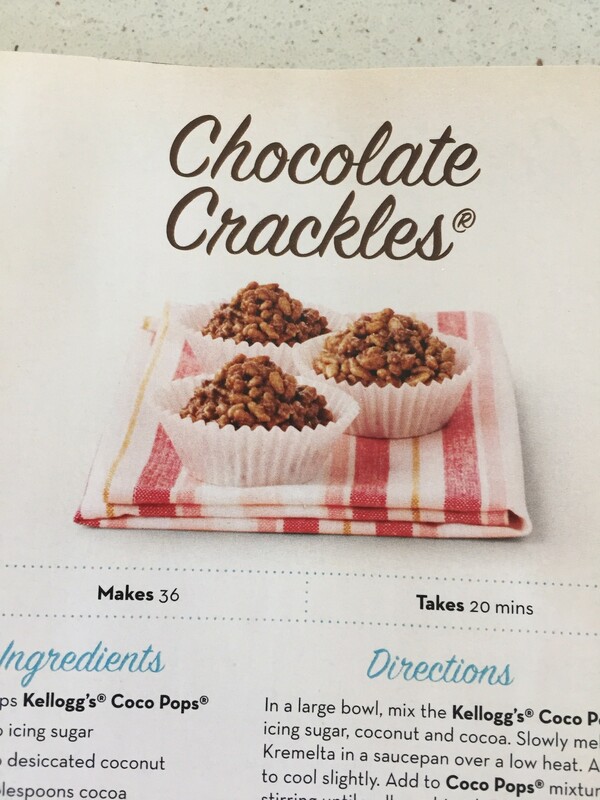 I was tempted too make the Chocolate Crackle Balls but my three year old daughter requested the Chocolate Crackles, so we made those instead. The recipe said it would make 36 mini chocolate crackles, we didn’t really need that many so I decided to half the recipe. I had all the ingredients I needed in my pantry, except for Kellogg’s Coco Pops and Kremelta (vegetable fat shortening, made from hydrogenated coconut oil. It is popular used in Australia and is used for a lot of children’s foods). I hadn’t cooked with it before so I was quite intrigued as to how it would work out. Little Miss loves to bake, and is always requesting to do so. After looking through the Favourite Family Recipes book, I thought that Little Miss would be able to make these herself, with a little of my help and supervision. The recipe was very straightforward and didn’t take Little Miss and I long at all to mix everything together and spoon the mixture into mini paper cases. 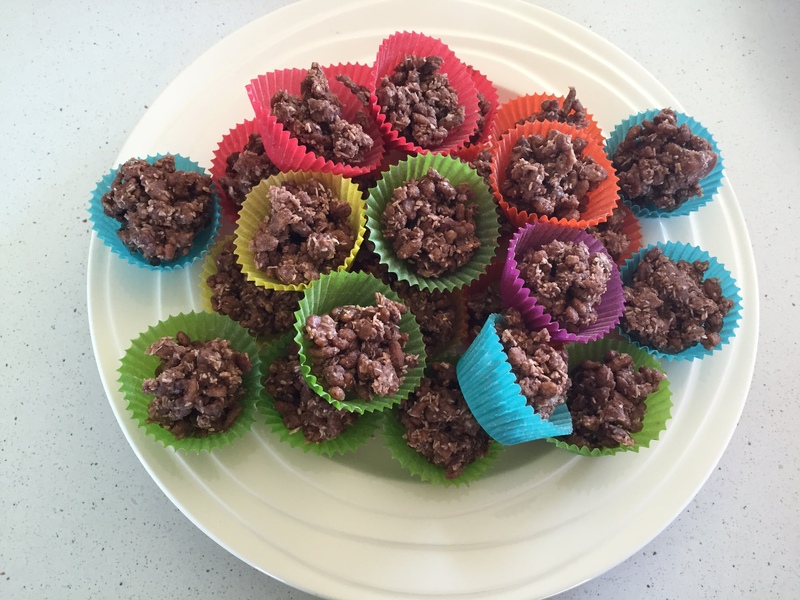 These are a quick, easy and tasty treat for kids and adults. Even though I made half the recipe we still had 32 mini paper cups filled with Coco Pops mixture. The recipe suggested adding sprinkles if you wanted something colourful for a kids party, which I thought was a good idea. Along with the Favourite Family Recipes booklet I also received a tea towel. I think it is so nice I don’t want to use it to dry my dishes, don’t think it would look better hanging on a wall in a frame? 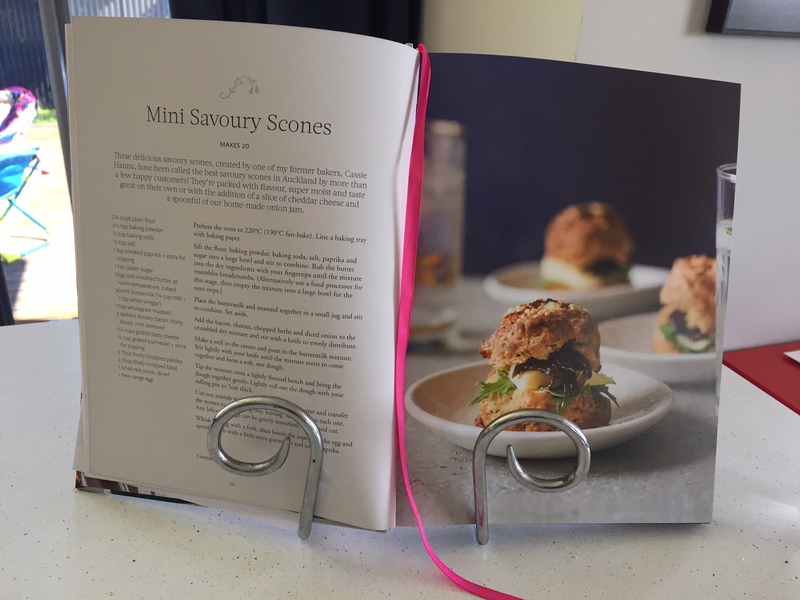 I was so excited to receive a cookbook to review from Kiwi Mummy Blogs, I love food, I love baking and I love eating, win win! This book is by Karla Goodwin and it is her second book. Her first book Bluebells Cakery Volume 1 focused on cakes, sweets and savouries, her new book Bluebells Cakery – Sweet & Savoury still has lots of mouth watering sweet treats to try along with savoury items which are perfect as snacks, finger foods and lunches. The book was published on November 1st 2015, (wow that’s last year now!). To be honest, I hadn’t actually heard of Karla before, so it has been great to receive a book by someone I wasn’t familiar with. I like the fact that she has a couple of cafe’s, I would definitely be looking them up next time I head up to Auckland. I have been checking out the Karla Goodwin website and doing my own research. (The following information was provided with the book and can be found on the Random House website). Karla Goodwin is a talented baker behind the boutique Auckland café shop Bluebells Cakery. Karla learned her craft while living in London where she worked in one of the UK’s most prestigious cupcake bakeries, Primrose Bakery. When she returned to New Zealand in 2011, Karla started selling at La Cigale, Auckland’s French market, but soon opened her own café (in Hillsborough) which quickly grew from opening just two days a week to a seven-day a week business. Due to Bluebell’s growing popularity Karla has recently opened her second store in Eden Terrace, Auckland. 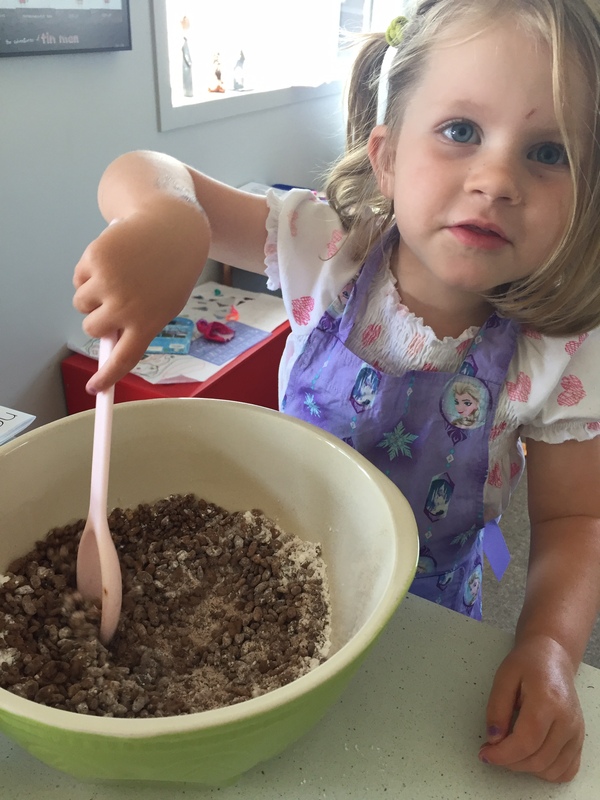 I really enjoy baking and I like recipes that are easy to follow and ones where I can enlist the help of my 3.5 ear old Little Miss. I usually stick to straight forward butter cream icing to decorate birthday cakes and making ganache hasn’t been too challenging. However, this book has pages with explanations, baking tips and advice, for any budding baker. At the beginning of the ‘Cakes’ chapter there are several ‘How to’ pages, which I really like. The instructions and photos are clear and don’t make fancy cake decorating seem too daunting. In fact, Little Miss has already chosen her next birthday cake several times from the book. There is also a chapter of ‘Condiments’ at the end of the book. As I looked through the book, I fell in love with the photography, by Tam West. I just wanted to make everything and make it now! In the end I settled for Mini Savoury Scones and the Apple Pies. 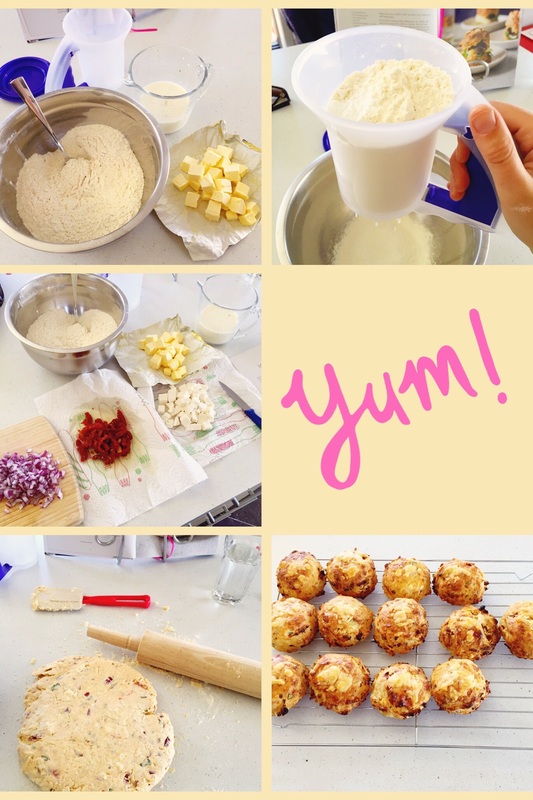 I made the Mini Savoury Scones first and boy were they a hit! 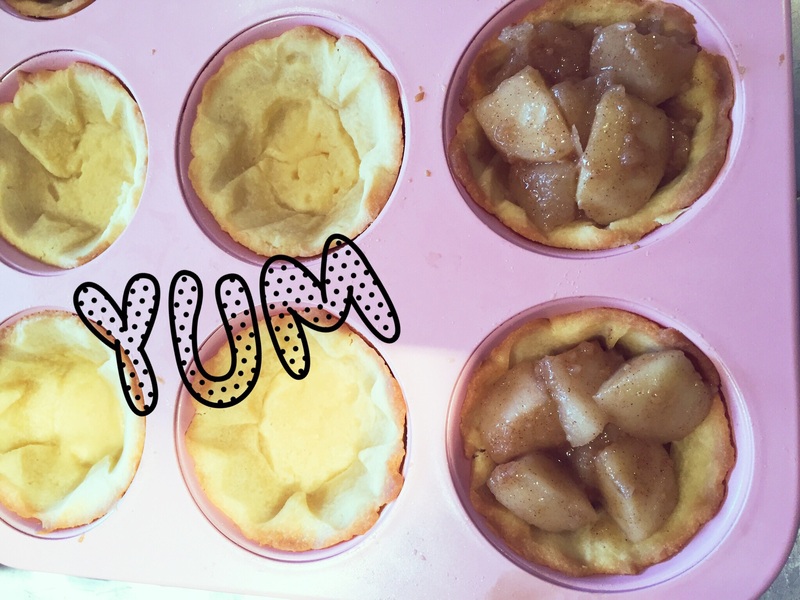 They were super easy to make, and the recipe is really easy to follow. The ingredients are mainly things that we usually have in our fridge or in the pantry. The recipe said to include, bacon, and parmesan but there was an option to omit these and add sundried tomato and feta. I decided to add sundried tomato and feta, but I will definitely try the bacon version next time. Since they are mini, you can easily eat a couple, I enjoyed mine with some butter. But you could add some tasty relish or whatever you like really. I also couldn’t wait to sample one so I ate one straight from the oven! I ate one when they had cooled down too and it was just as good. My parents are currently visiting from England so I had a few more taste testers in the house. My Mum loves them so much she wants to take a copy of the recipe home with her. Even my Dad really enjoyed them, and he is the biggest critic I know. Mr Happy is a fan of these savour scones and he quickly demolished several, and my hubby said he said they were really tasty. I’m thinking these scones will become a go-to snack in our house. I love apple pie, especially the homemade variety. The photo in the book looked edible and I thought making mini versions would be a change from making a standard sized pie. Again, the recipe was relatively straight forward and I already had the ingredients at home. I made the sweet short crust pasty myself, easy if you have a food processor! But, if you don’t I’m sure the ready made pastry will be just as good. Whilst I was cooking the apple filling it smelt amazing!!!! 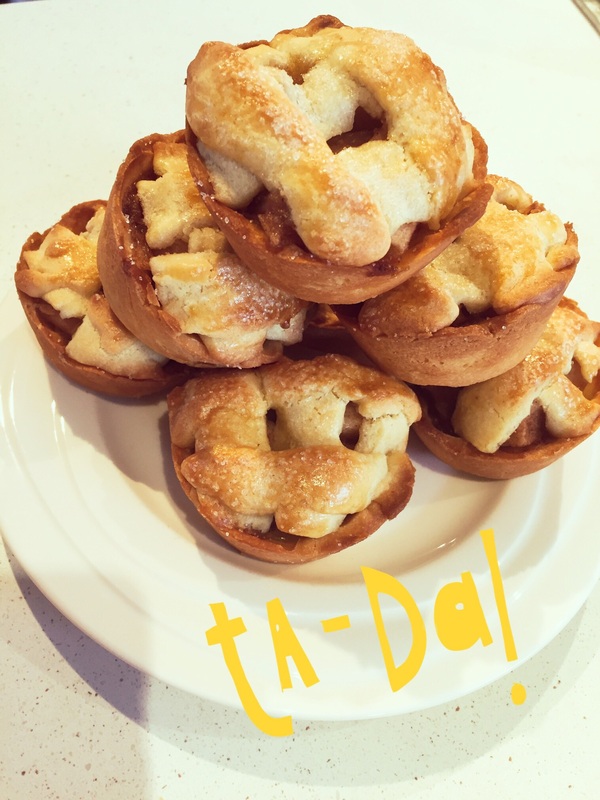 Mmmm cinnamon and sugar…… The end result of the mini apple pies looked great, much better than I had anticipated and they tasted delish! I made them earlier in the afternoon so by the time we ate them they had cooled down. Served with some whipped cream, it made a great dessert. The recipe suggested eating them straight from the oven, so at least we know we won’t be disappointed when they have cooled down. They also proved to be a big hit with my parents, hubby and Mr Happy and Little Miss. 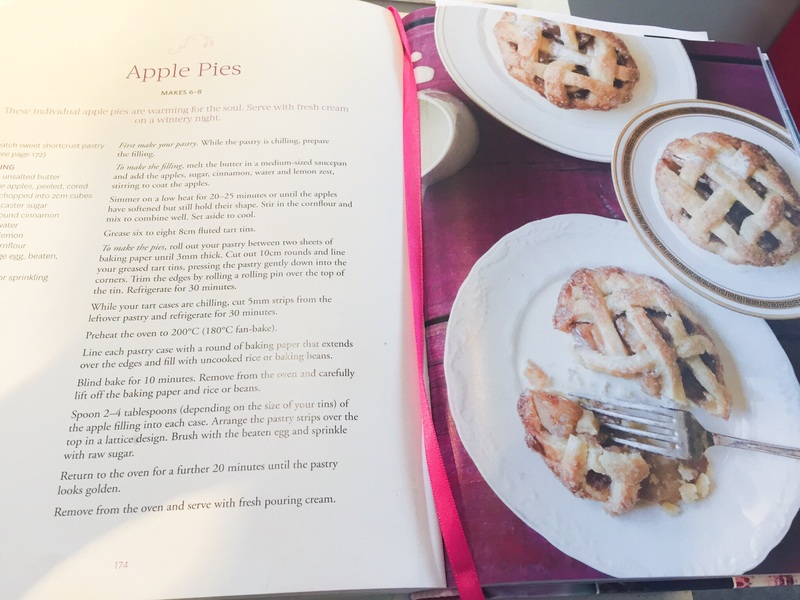 I did find however that making the mini pies was quite time consuming and I think you could probably adapt the recipe to make a standard pie, since I had quite a bit of the apple mixture left over. I have put it in the freezer and it wont be there for long as I’ll be making more pies again soon. NB: I was sent a copy of Bluebells Cakery Sweet & Savoury to review, and all opinions and photos taken are my own. Happy 5 months baby girl. A very Happy 5th Birthday to Isaac. We have had the best day, we have been to the movies and had dinner out. He is so excited to start school at the end of the month.